In this episode of The Profit, Marcus Lemonis visits Da Lobsta. 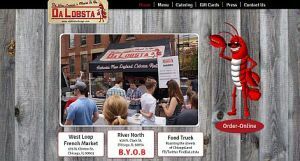 Da Lobsta is a fast casual restaurant that specializes in lobster rolls and other lobster dishes owned by J. Wolf. The company has a food truck that goes around Chicago. Da Lobsta serves Authentic New England sandwiches with a twist. J. Wolf took the east coast concept of chilled Lobster Claw and Knuckle meat, mayo and warm garlic butter sprinkled on top of a New England toast. If customers want to be more adventurous, they can choose from Asian, Greek, Indian, and Mexican varieties. 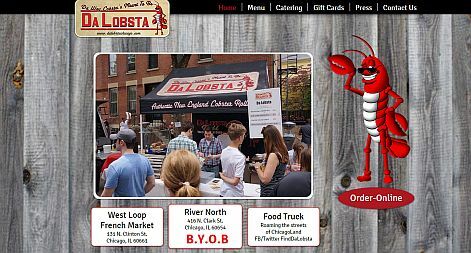 Marcus loves the business idea of Da Lobsta which was established in January 2013. He can see how people patronize the food and kept coming back. He wants to help J. Wolf and the company settle all the issues and make things run smoothly. But when Marcus visited one of the stores, he witnessed the tension among the employees. Marcus was upset that when he asked J for the financial statements there was none. When J enumerated all the debts it amounted to $431,000. He has couple of loans and did not pay the state taxes. He also lends money from his relatives and friends. Marcus was disturbed knowing that J keep using the money from the company for his personal pleasures like eating, movies, and expensive goods such as Hugo. The financial condition of Da Lobsta has strained the relationship of J and his father. Marcus was so disappointed with J’s spending and he asked for some space to think. When he came back a day after, he listened more to J and his story. Marcus wants to give me a chance. Strained relationship between J and his father. J’s family is tired of footing the bill. J never invested any money to the company. J is taking out so much money from the company. Da Lobsta has no chain of command. Marcus sees a lot of potentials with Da Lobsta. However, he confronted J that he needs discipline. Marcus’ initial offer was $210,000 for 51% ownership. The offer requires the sale of one (1) of the brick and mortar locations to pay for the state taxes. Marcus also raised the need for a financial plan to pay J’s father. 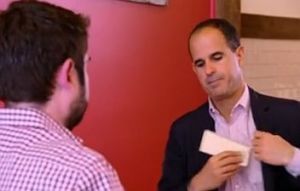 In addition, he wants to put J on a normal salary of $60,000 and prohibit him from touching the cash. Marcus is completely in control. J emphasized that he should have the operational control of Da Lobsta. He has so much pride and declined the deal. The owner firmly believes that he can operate his company. No deal was made and Marcus left. J has so much pride that turns to ego. He missed the opportunity for the company and chose himself. He does not deserve the help. J is ungrateful and unwilling to change. J does not respect the process. No deal was made for Da Lobsta. Marcus thinks that J’s attitude and lack of disciple is hard to manage. He thinks he does not deserve the help.